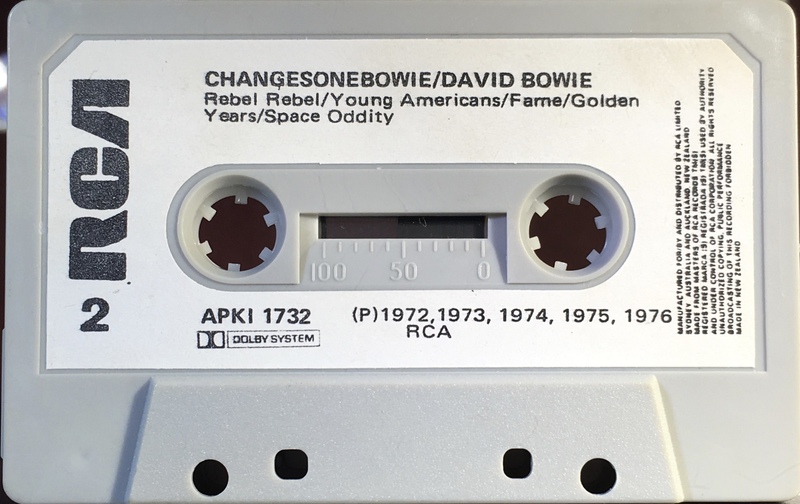 Changesonebowie:New Zealand; RCA, APK1-1732; 1976. 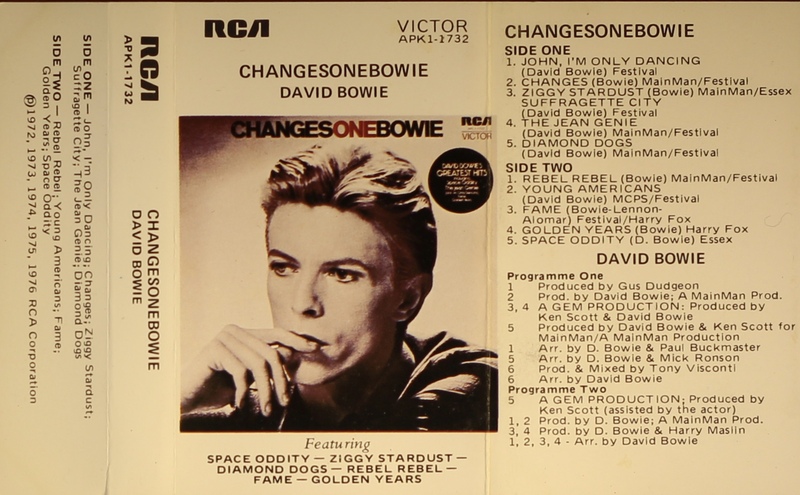 The cover has a white border, spine and panels with some tracks listed bottom. The cover is thick, treated and folded paper and the rear is blank. Track list on inner and rear panel. Differs to the Australia cover in that it has ‘Made In New Zealand’ on the rear panel. No Dolby logo on cover, on cassette only. 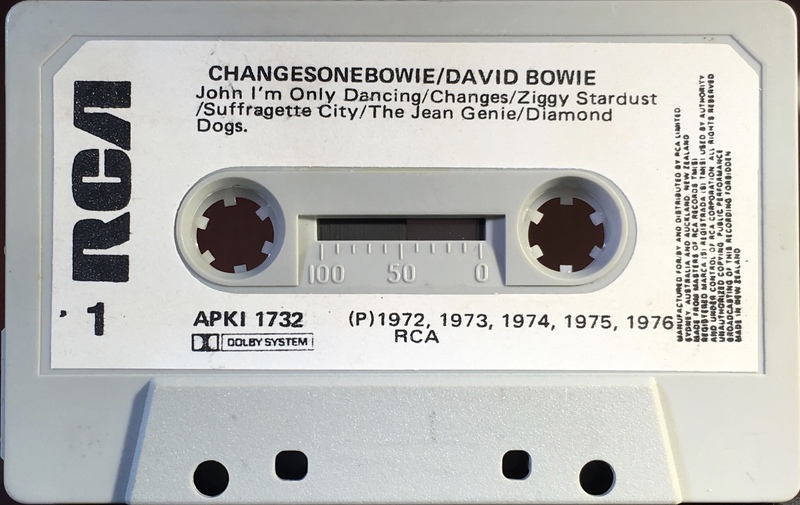 The cassette is made in New Zealand for Australian and New Zealand distribution. White paper label on a grey shell with solid red RCA. Manufactured for/ by and distributed by RCA Limited Sydney Australia and Auckland, New Zealand’ and ‘Made In New Zealand’. 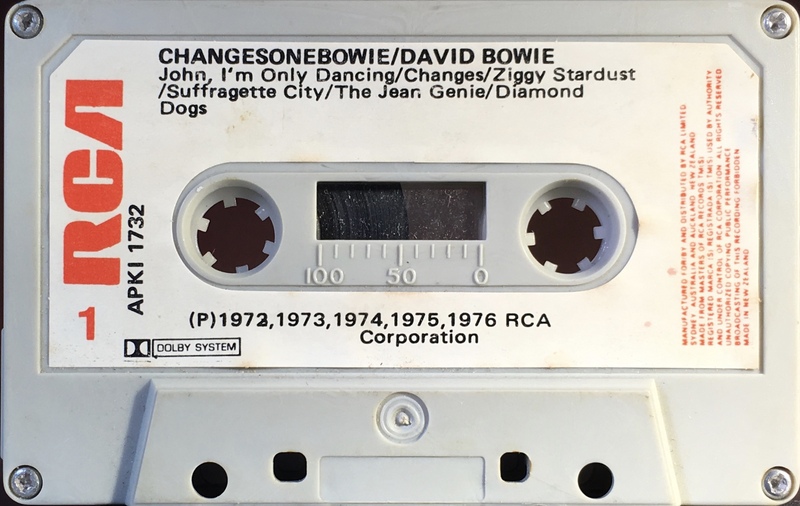 Side 1: John, I’m Only Dancing; Changes; Ziggy Stardust; Suffragette City; The Jean Genie; Diamond Dogs. 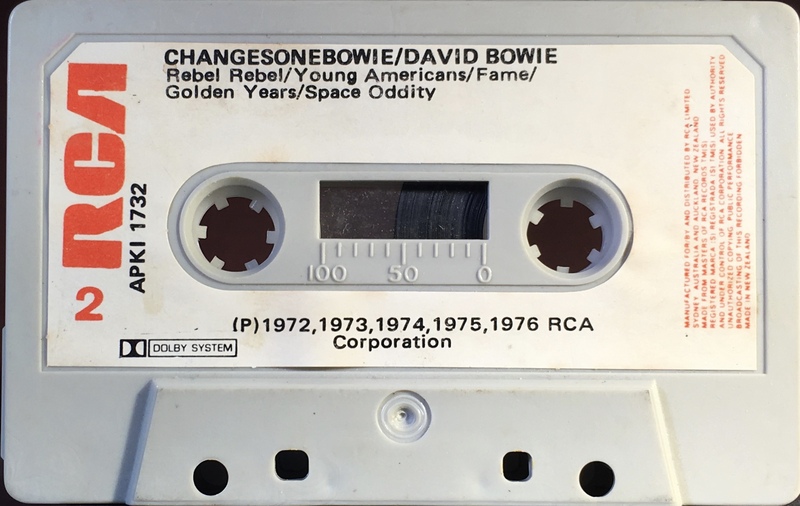 Side 2: Rebel Rebel; Young Americans; Fame; Golden Years; Space Oddity. The cover has a white border, spine and panels with some tracks listed bottom. The cover is thick, treated and folded paper and the rear is blank. 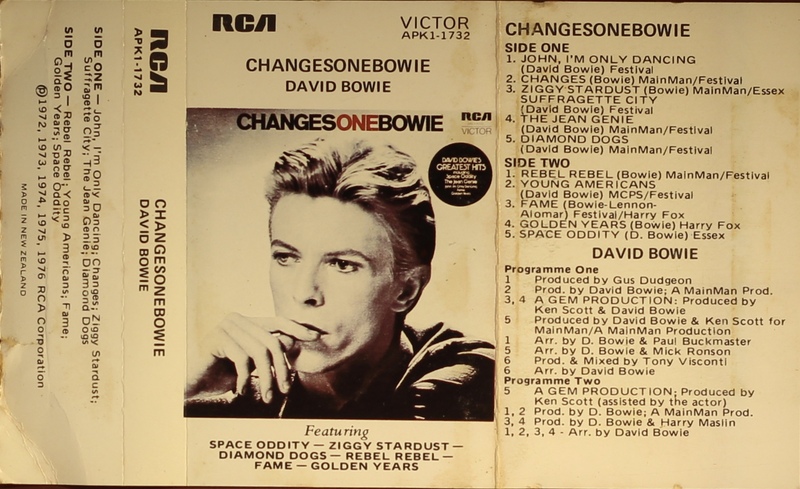 Track list on inner and rear panel. Differs to the Australia cover in that it has no ‘Made In’ information on the rear panel, the cover is identical to the Australian release but the absence on ‘Made In Australia’ indicates it is a New Zealand release. No Dolby logo on cover, on cassette only. White paper label on a grey shell with solid black RCA. Manufactured for/ by and distributed by RCA Limited Sydney Australia and Auckland, New Zealand’ and ‘Made In New Zealand’.